A lemon rice is a perfect lunch box dish. It is really a pleasure to prepare rice varieties and to taste and pack it in the lunch boxes. 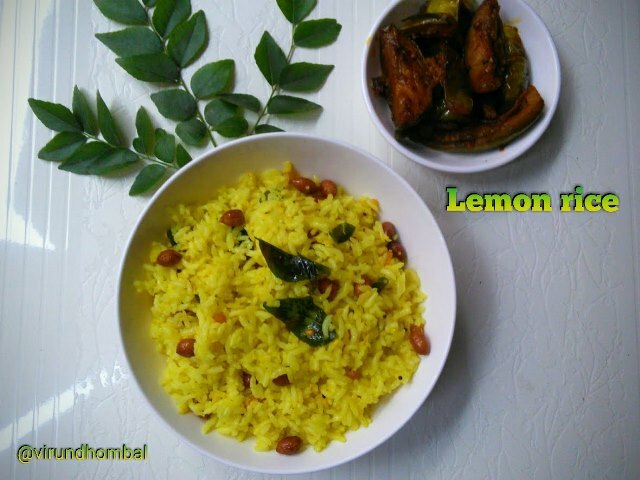 Moreover, lemon rice is one of the easiest rice to prepare for your busy weekdays. Let us see some important tips for perfect lemon rice. 1. For perfect lemon rice always choose a juiciest lemon. 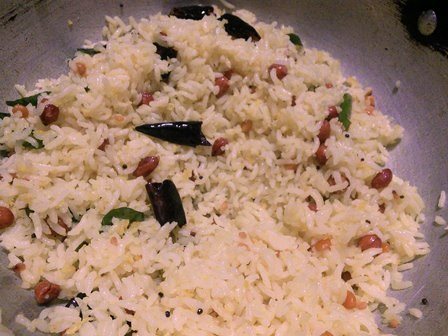 If you are using older lemon, then it will have less juice and won't taste good for this rice. 2. 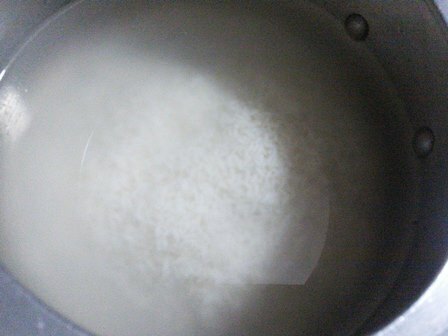 Whether you cook the rice in a pressure cooker or in a vessel, the rice should not be sticking to each other. 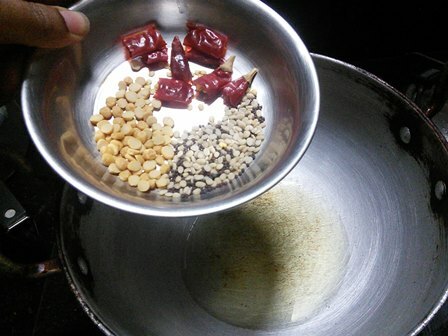 As I mentioned in my other posts, ponni raw rice tastes good for these kind of rice varieties. 3. Do not add too much of the ingredients for tempering. It will be difficult while eating. 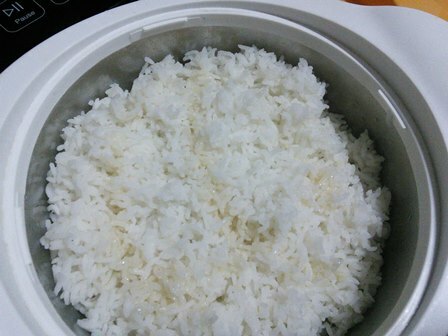 With correct tempering the rice will taste good and also it looks beautiful. Try packing this rice once it cools down. A lemon rice is a perfect lunch box dish. It is really a pleasure to prepare rice varieties and to taste and pack it for the lunch boxes. Take a vessel and add the rice. Wash the 2 to 3 times in water and soak it with 2.5 cups of water for 10 minutes. Add the soaked rice to the pressure cooker and close it with the lid. Keep on medium heat and pressure cook for 2 whistles. Allow the pressure to settle down naturally. Open the cooker and transfer the rice to a wide vessel. Heat 1 tbsp oil in a kadai and roast the peanuts. 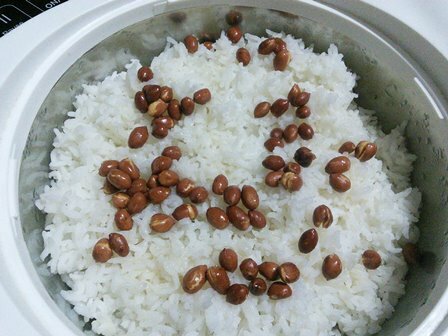 When the peanuts are roasted well add it to the rice. Swirl a tsp of gingely oil over the rice. 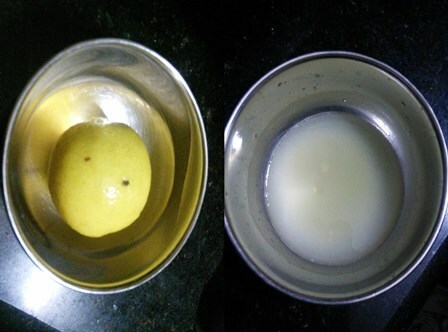 Squeeze the lemon juice in a bowl and keep it ready for the rice. 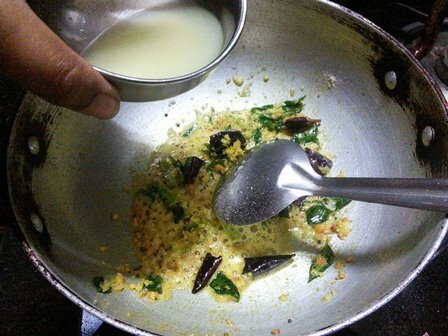 Heat 1 tbsp oil in a kadai and add the mustard, urid dal, chana dal and broken red chillies. 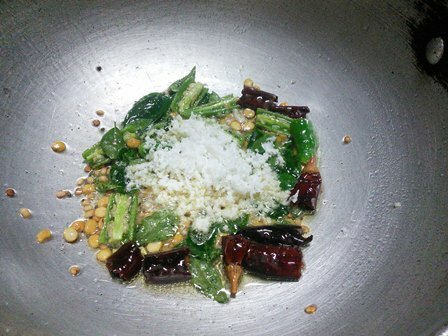 When chana dal turns golden brown, add the green chillies and grated coconuts. 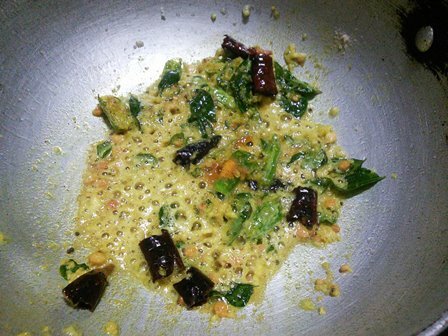 Saute them for a second and add the asafoetida powder, curry leaves and turmeric powder. Next, add the lemon juice and stir for a minute. Turn off the heat. Now add the rice and the required salt. 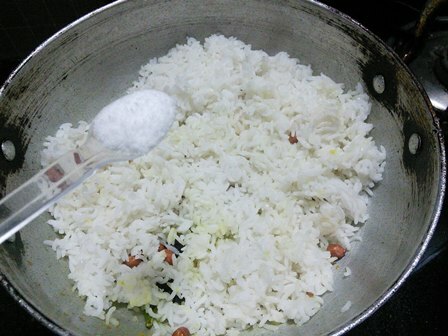 Mix the rice gently and evenly. Check for the salt and the seasonings and add if anything required. Close it with the lid for 10 minutes and then serve or pack in your lunch boxes. Take a vessel and add the rice. Wash the 2 to 3 times in water and soak it with 2.5 cups of water for 10 minutes. Add the soaked rice to the pressure cooker and close it with the lid. Keep on medium heat and pressure cook for 2 whistles. When chana dal turns golden brown add the green chillies and grated coconuts. Next, add the lemon juice and stir for a minute. Turn off the heat. Now add the rice and the required salt. Mix the rice gently and evenly. Check for the salt and the seasonings and add if anything required. Close it with the lid for 10 minutes and then serve or pack for your lunch boxes. 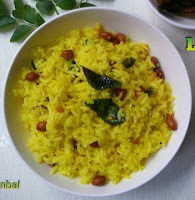 Easy and tasty lemon rice is ready. If you try this recipe for Lemon rice leave your comments below and share the recipe for your friends and family.